For more information or to book a consultation for a workshop or an assessment report, contact Aspire Too today. Connie, you have a gift and are appreciated. Thank you for presenting to our team. I wanted to send a quick note to thank you again for your work with our team this past week. I’ve had an opportunity to debrief with both of them now and they are both feeling very positive and hopeful for the future. They had really great things to say about you and your approach. It’s a challenging and emotional process to go through a mediation but your approach made them feel as comfortable as possible. Thank you! Mediation is a process where an impartial third party helps two or more parties discuss a dispute and work toward a solution that is acceptable to all parties. Participation is voluntary. Mediation is not a substitute for legal advice. In most situations, it is still advisable to consult with a lawyer before and during the mediation process. It is also advisable to have a lawyer review any written agreement before it is signed. Unlike a judge or arbitrator, the mediator does not decide the outcome of the dispute. Mediated agreements tend to succeed because they result from a process that allows parties to create their own solutions. Aspire Too has the professional expertise to work with you to resolve conflict between employers and employees or other stakeholders within your organization. True Colors® has been around for over 30 years and is an evolution in presenting and understanding personality temperament theory, the foundations of which were established by the work of Carl Jung, David Keirsey, and Don Lowry. True Colors® is founded on a history of temperament that spans 25 years. The True Colors® system utilizes a convenient card sort, word sort, and an Edutainment® piece to reveal your or your employee’s temperament preference and work style. 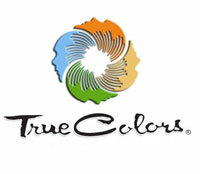 True Colors® uses four colours to represent the temperament preferences: Green, Gold, Blue, and Orange. The colors create a common, fun and powerful language of understanding for you and others which can be used in family, work, and community relationships. Critical Stress Management is a flexible, short-term psychological treatment process that focuses on immediate resolution to acute crisis management and post crisis follow-up. This service is available for individuals, small or large groups, within families or the workplace. The goal of this treatment is to assist in processing acute trauma and to prevent the development of post-traumatic stress disorder in people who have been exposed to trauma. The process will help manage strong emotions and assistance in returning to optimal functioning following a critical event.